Find yourself basking in the sights and sounds of nature by staying at Fall Creek Resort. 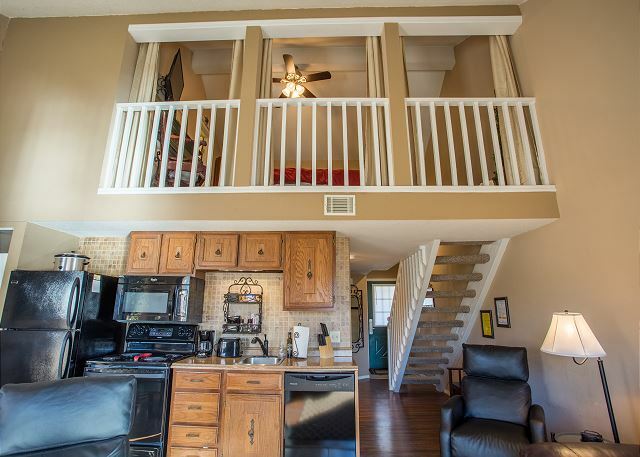 This 2 bedroom unit is a classical and affordable place to kick your feet up and relax. 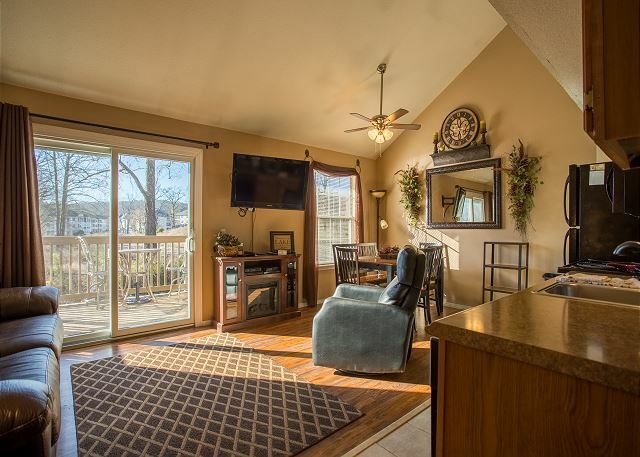 Whip up a tasty meal in the full kitchen before stepping outside onto the deck and watch Lake Taneycomo in its entire glittering splendor. Catch up on your favorite shows on the flat screen TV whenever you want! If the itch to get out and explore gets to you, then take a quick drive to the renowned Branson Strip. A huge spot for live entertainment, there is a show everyone will love! With plenty of stores and restaurants as well, there are a hundred and one ways to spend the day. 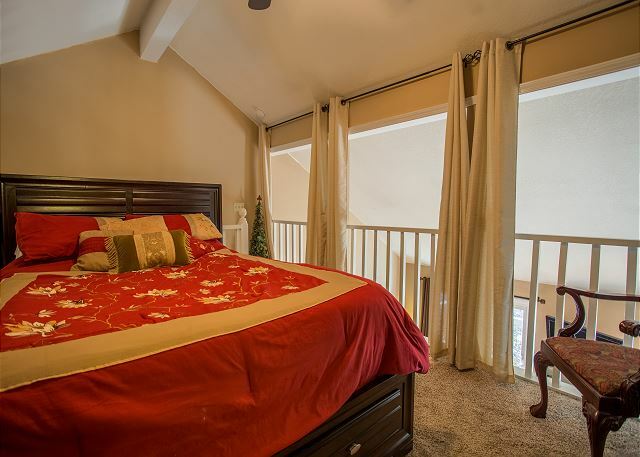 Or stay at the condo for your day of fun: with lake access, you and your fishing pole are all you need for a great day. Whether you catch for fun or for dinner, this is a great place for you! 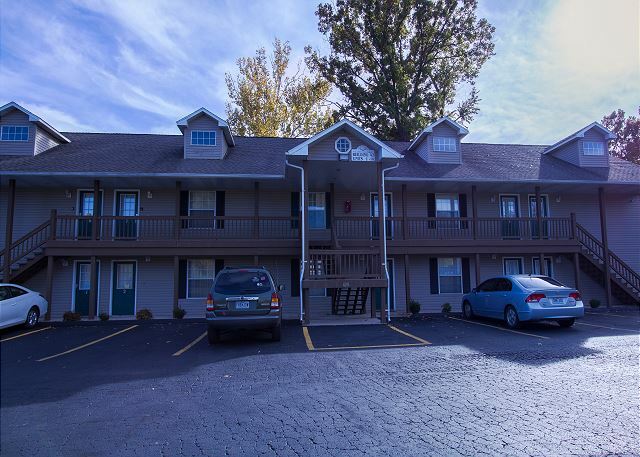 Very clean, quiet, and great location in Branson! The rental was exactly as described. It was one of the cleanest properties we've stayed in. Love the view of Lake Taneycomo, and the location for getting around Branson is hard to beat. We are so happy to know that you had such a great time staying with us, Kurt! That view of Lake Taneycomo is pretty incredible. Don't forget about us on your next trip to the area! 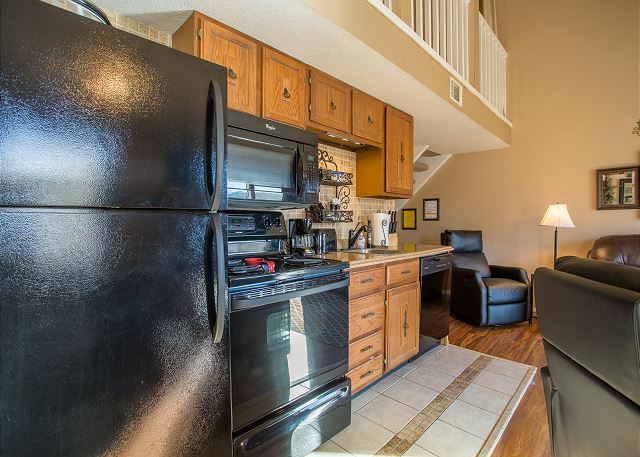 Very nice condo in a great location. Condo was clean and very well stocked. The view was great and so was the fishing. We will definitely be back. 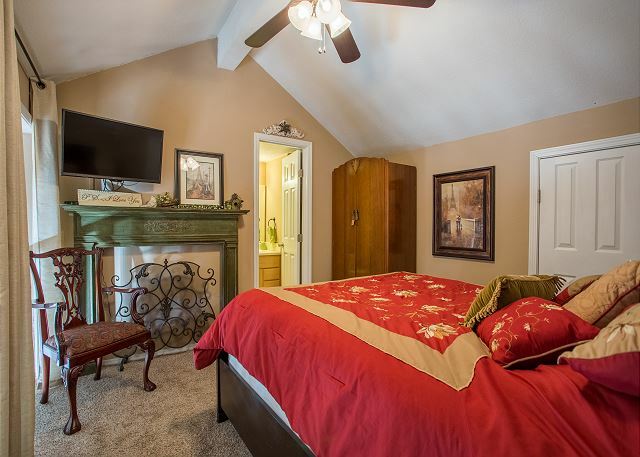 Property was nice, but my wife complained about the bed mattress and no fan in downstairs bedroom. Also, one of the tiles was cracked in bathroom floor. Could present a safety hazard if walking barefoot on floor. Thank you Sean for the feedback. We will have our Operations team look at that tile. 4 adults and one dog. We stayed for two nights and it met all our needs. Cleaner than some hotels we've been to. We cooked a few meals and they supplied everything. Only complaint was the master toilet ran a lot. Very peaceful area and great view of the water. Not a far drive to the strip. The condo we stayed in was lovely. Everything was clean and very comfortable. When we first arrived the air wasn’t working. I called the management (Donna) and she had a technician there ASAP. Nothing but positive comments, loved the place and the biew. Look forward to visiting again!!! We were two couples and 1 baby staying for 3 nights. We loved our experience. The balcony was key - morning coffee, afternoon sun and dinner outside - all with view of the lake. The furnishings made the location very homey and welcoming. Location was good - walking distance to the marina, an old boat launch site and a park. Within 10 minutes we were able to see the hatchery, hike along table rock lake. 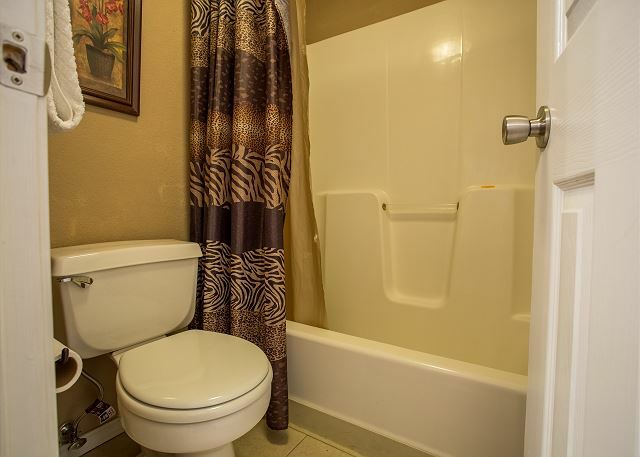 The property was clean and very well maintained. There was a slight smell of cigarette smoke that hit you as you walk in the door and that clung to our clothing. The view from the deck each morning was incredible. Good morning, Aarti! Thank you for the review, and we will be addressing the smoke smell you mentioned. We're glad to see that you enjoyed your stay, though, and hope to see you again soon. Don't forget to mention your previous stay for a special returning guest discount! The home was beautiful. Just as described. Hi, Aravind! 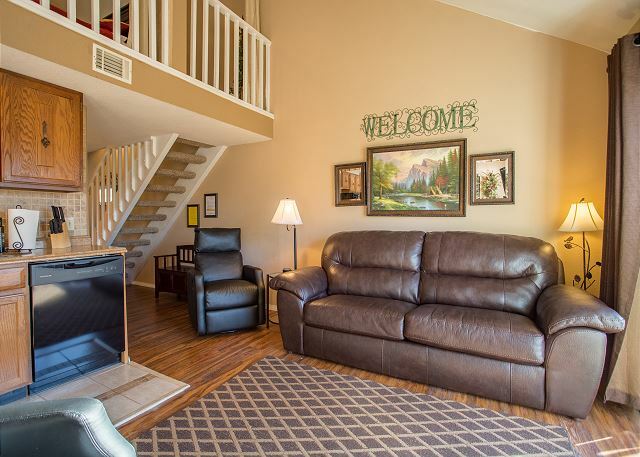 Thank you for the glowing review of your stay at Tuscany on Taneycomo. We really appreciate it, and hope we see you again in the future. Don't forget to mention your previous stay for a returning guest discount! It was very nice and very clean. I would definitely stay there again. Hello, Irene. We're glad that you had a good stay with us! We can't wait to see you again, and don't forget to mention your previous stay with us to get our returning guest discount! It was a relaxing time for my wife and I, our son and his 13 year old daughter. 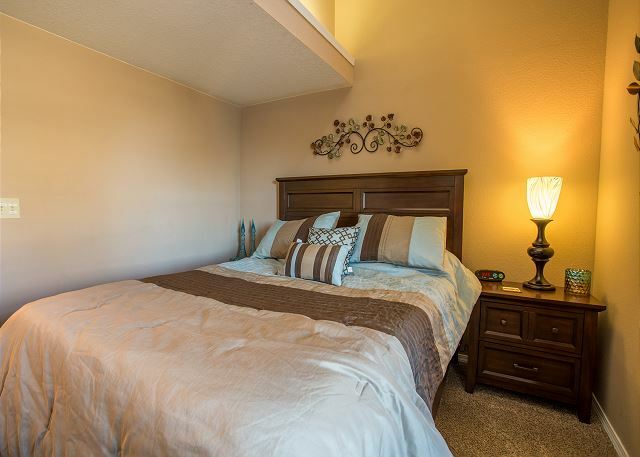 The unit was clean and very nicely furnished. The view from the deck was great which made the coffee taste even better! If I had taken my fishing gear, I would've walked down the big rocks the unit is on to just to see what was biting. We wish that we could've stayed longer! Tuscany on Taneycomo was unit 7 of 10. 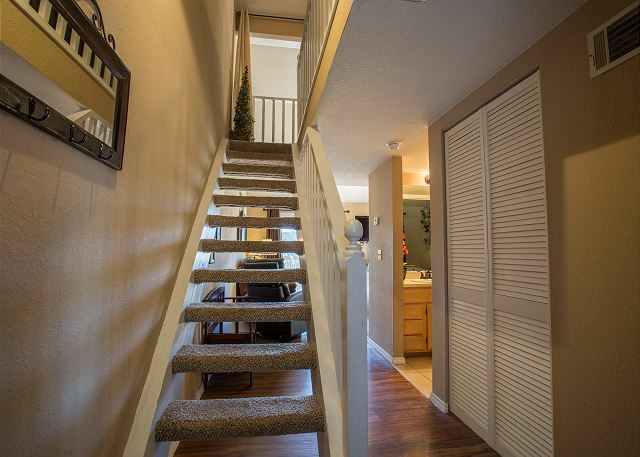 Second floor, second from the end closest to the lake and pet-friendly. Very nice views of Lake Taneycomo. Pleasantly surprised that photos accurately reflected condo. The cathedral ceiling made the great room and master bedroom feel more spacious. Great room furniture was beautiful and beds extremely comfortable. 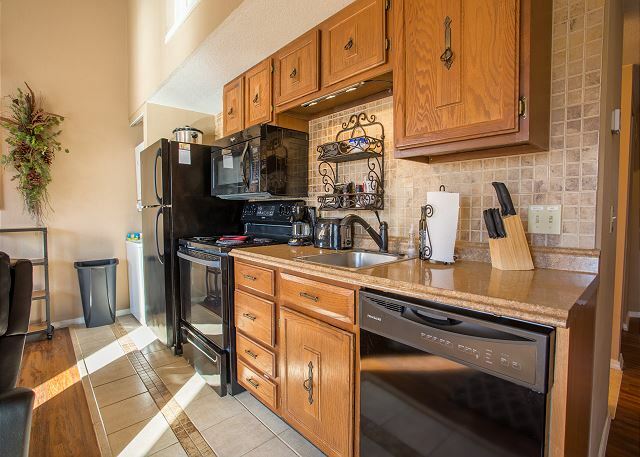 Kitchen appliances and kitchen area were very clean and modern, and well stocked but refrigerator was noisy. Deck needs paint and outside stairs needed cleaning. TV remotes needed batteries and chandelier over table needed a light bulb. Master bathroom baseboard and floor needed cleaning. 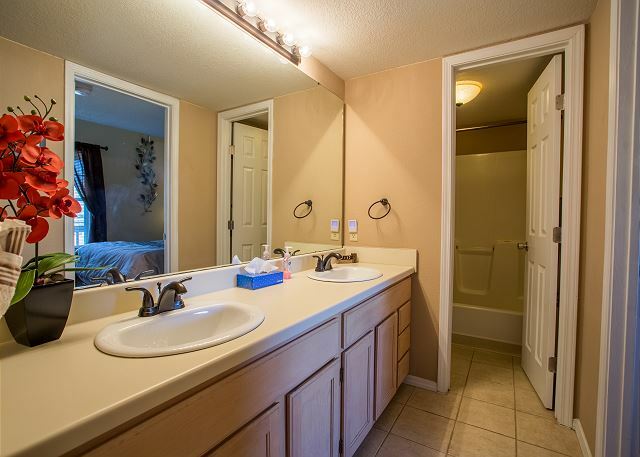 Master bathroom needs a door for privacy. Messy paint job - uneven cut-in lines throughout condo. Location of condo was nice as it had lots of green space in front and back. Loved being on the lake and even observed a female eagle on our deck. Far enough away from the hustle and bustle of The Strip but just a few minutes drive to The Strip. The pool and playground area were clean. The marina was very small, but nice. 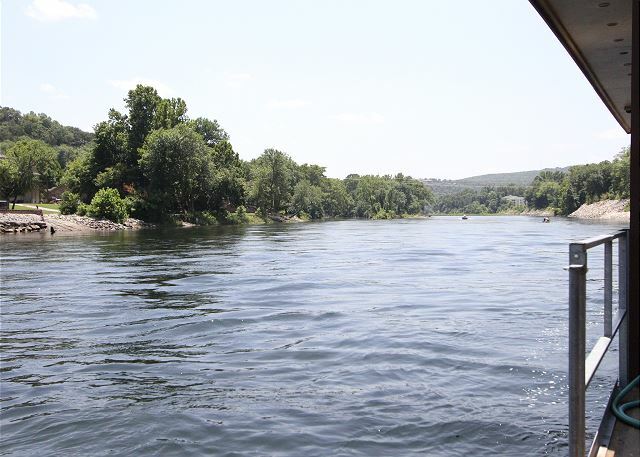 Branson is a great vacation spot that offers something for everyone. 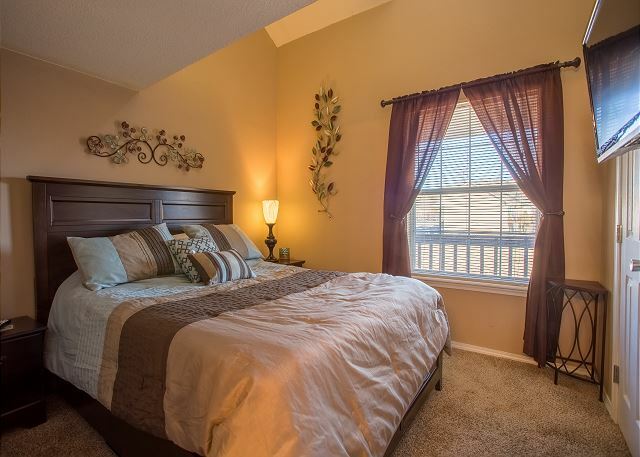 I would return and would recommend Tuscany to others who would like a nice condo just a short drive from The Strip. We loved the view of the lake and access to trout fishing. It felt cozy. 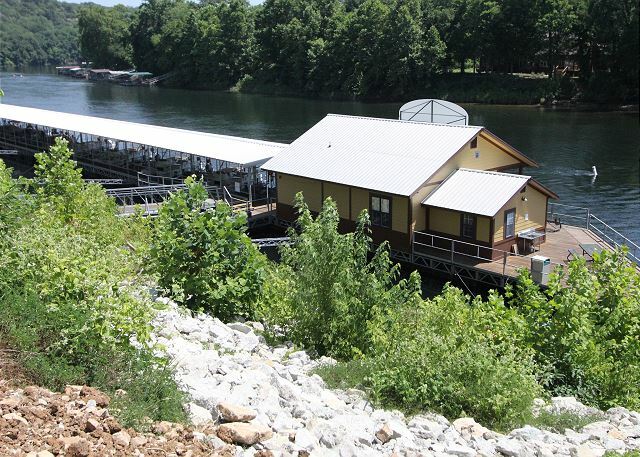 It is also close to all the amenities of Branson. Problem free rental. Had everything we needed. Great view. Quiet. Easy check out process. All of the pictures and description were accurate. 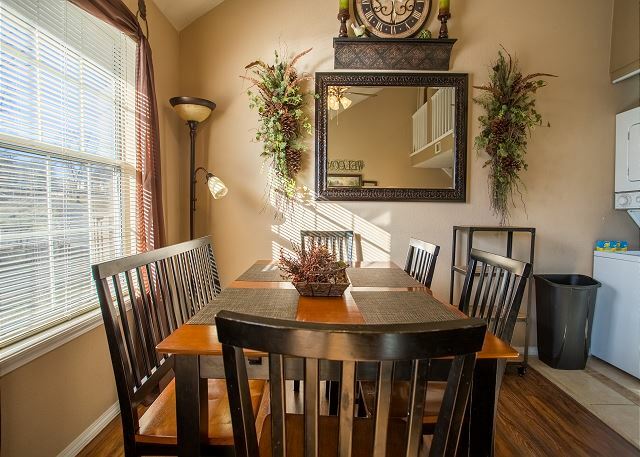 The condo was really nice,comfortable and decorated tastefully. 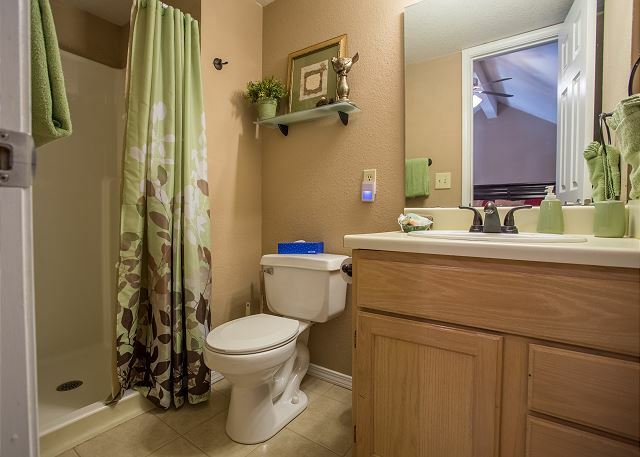 The location is great, close to the main strip but far enough away to have privacy. The cool breeze off of Taneycomo was refreshing. We fished off the dock at the local marina which was fun and relaxing. Had a great time! We really enjoyed the condo. The furniture and decorations were very nice. It was nice and quiet too. We would stay there again. Our kids loved the upstairs loft too. Beautifully decorated with an amazing view from the deck. Our kids loved the loft bedroom. The garbage disposal quit first thing and the owners immediately sent someone over to fix it. Very quiet area and we are going to book this unit again for later in the summer! Was a good experience. Lacked a coffee pot on the first morning But a phone call away and was remedied. Wonderful neighborhood, so quiet at night you can hear the river (lake)rushing by. Let alone the wildlife you get to hear and see.The split level condo was Great for us we gave the Parents the full downstairs and we took the up and never worried about space or having to worry about bathroom confrontations (hehe). Would rent again . Just maybe at a different time then Christmas. Though we did have a Great time in Branson! And would like to see at different seasons. the unit was laid out very well. Laminate floors and tile added a nice accent. New carpeting in the bedrooms look very good. 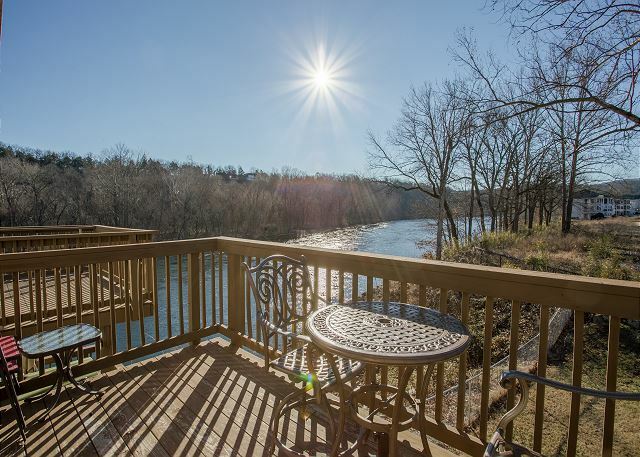 The deck overlooking Lake Taneycomo gave beautiful views of boating and eagles soaring. Went to three shows while there. Very good experience. Definitely would recommend renting this unit. This was our second stay at this location and we are already planning our next trip! Great location, beautiful scenery, quiet and peaceful. Love how helpful the staff at Sunset always is, Thank you for everything! Very Nice location & view. Enjoyed our stay. Hope to come back again. The condo was beautiful and very comfortable. The setting was breathtaking...which was exactly why we chose this site. Was a perfect weekend with kids and grandson. We stayed at the Tuscany at Taneycomo. Right outside Branson, MO off of Table Rock Lake. This was the perfect get away from the Branson chaos of the the strip.more then enough room w everything that could want or need. I do have a warning for future guests- if you have a small dog, there are two female eagles w nests in the trees directly off the back patio of this rental. We brought our 2 yr old 7lb toy schnauzer w us and the eagles watched through our sliding glass for constantly. We had to keep all the blinds and Curtains closed and keep our dog close to us at all times. The huge female eagles actually landed on our patio several times and stalked her. If you don't have a pet it's probably pretty amazing. I actually went out on the Patio at one time and took pics beside the eagle. As they are not afraid of humans at all. Condo was just remodeled and was really nice. Everything else was excellent. Nice quiet place. Only complaint we had were the beds were a little hard and the water was kind of stinky. We enjoyed it and will probably come back! Great location! Plenty of parking, great view of the Lake. 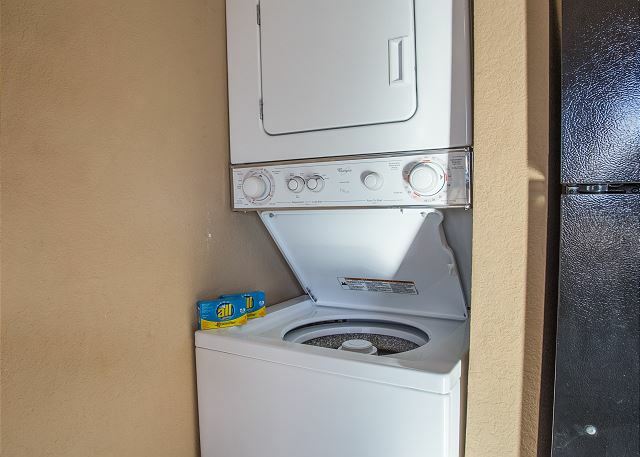 Easy access to everything we like to do in Branson. Only downside - and it did not affect our stay is there are a LOT of cobwebs inside and outside of the building. Also, the center staircase outside is covered in bird droppings - really nasty looking. We had a great weekend getaway! 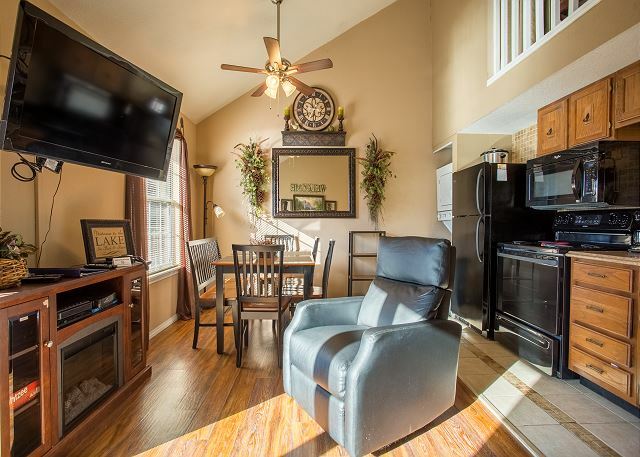 The property was comfortable, had everything we needed, was right on the lake, and close enough to all that Branson and Table Rock Lake has to offer. We spent an afternoon renting a boat from the Fall Creek Marina and enjoyed all the scenery lake taneycomo has to offer. The price is SO worth it. We will certainly be returning!